Being a border town means that Mexico steals a lot of San Diego’s attention as the resident international presence. Lesser known, both to outsiders and people living in San Diego, is that America’s Finest City is home to the second-largest Somali population in the United States, after the Twin Cities area. Most of San Diego’s Somali population arrived as refugees during the 1990s, escaping a country that was in the clutches of civil war, a conflict that continues to send people overseas today. Even further off the map for San Diegans is Somali food. 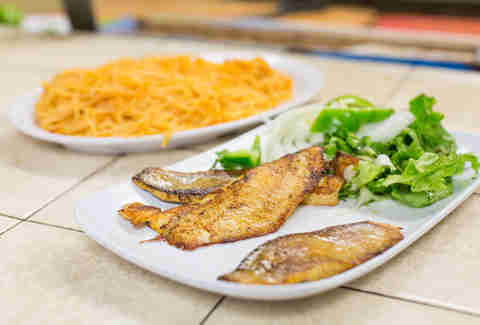 While it hasn’t hit the mainstream yet, there are plenty of restaurants serving fine examples of classic Somali dishes. What does that mean, exactly? Think combination platters, lots of rice, stewed meats, fluffy French bread, and spaghetti -- basically, a mélange of selections from Somalia's history of being conquered, fought over, and reconquered. Pork isn’t available, though, since most Somalis are Muslim, and their restaurants operate according to halal standards. 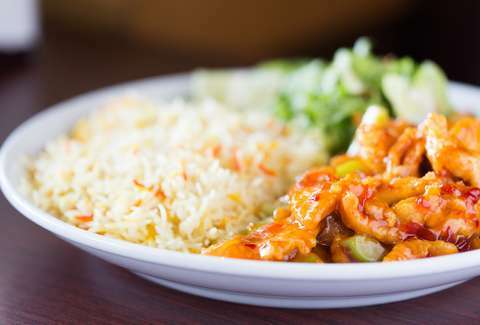 Since one of the best ways to learn about another culture is through its food, we’ve done the hard work for you and rounded up the best places to sample Somali food in San Diego. Abdikadir Osman opened up Fatuma Restaurant on University Avenue after arriving in the United States and noticing there were a lack of available quality halal options for San Diego Somalis. Diners particularly love the combo plate, where opting for the spaghetti is a must alongside rice and a meat option. Goat is a popular choice -- it’s perfectly fatty and spiced with cumin and curry -- although lamb and chicken are similarly prepared if goat isn’t in your wheelhouse. 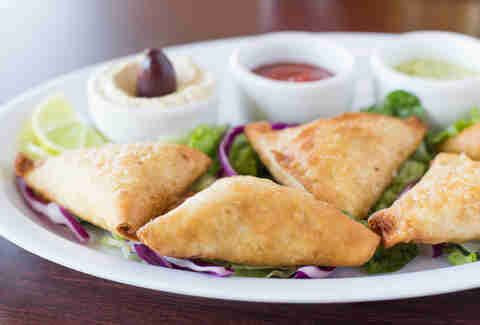 Appetizers include sambusas, the classic East African staple of fried dough triangles with meat or vegetable filling. Visitors can eat on the floor (in keeping with Somali dining tradition), although sitting at a table is also an option. Start off at Faridas by ordering a tea, which comes Somali-style with lots of sugar and milk, and flavored with cardamom and ginger. Regulars here know the “mixed platter” is the way to go, especially if you have a big group: you get a salad, a protein, rice, pasta, vegetables, and a drink. Lamb, beef, chicken, and tilapia are all on the menu, and you can also get spinach, chicken, potato, and beef sambusas, as well as chicken sandwiches on baguette-style bread. 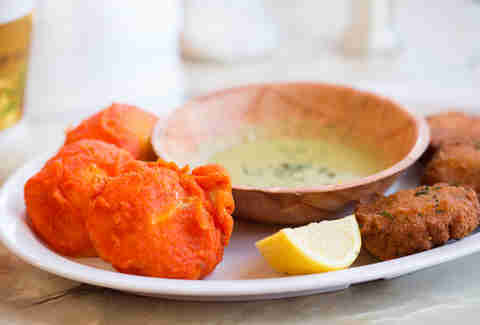 Common at all Somali restaurants, including this one, is a spicy green sauce used to heat up almost any dish in the genre. Billed as one of the most true-to-its-roots joints in town, Taste of African Cuisine hands everyone a banana when they walk in. Don’t like bananas? Deal with it, because you’re getting one; bananas are generally eaten alongside the meal, like a slice of bread or a tortilla. There are no menus here, so go for the classics: obviously a meat and fish platter, rice or spaghetti, and a side of sambusa. Both the meat and fish options are tender and fragrant, and the portions are as generous as the ambiance is lacking -- in other words, the food speaks for itself. Regulars advise skipping the tomato sauce in favor of the green spicy sauce, which packs a bigger punch. Better known for its food than its namesake drink, Coffee Time Daily is yet another spot in Little Mogadishu that serves a killer Somali combo plate. One of the smaller options on the strip, the restaurant has no menu to speak of; you just have to know what to order and Mohammed, the owner, will hook you up. With most dishes clocking in below $5, it’s also a steal. Mohammed is serving sambusas; combo plates with rice or spaghetti and goat, beef, chicken and tilapia; nafaqo (potato wrapped around a hard-boiled egg); and a few smaller snacks, like bajiya, made from black-eyed peas. In a section of Rolando referred to as “Little Mogadishu” sits Cafe Royale, which delights patrons with its fresh mango smoothies. The ubiquitous Somali combination platter is on display here, and $11 will get you a heaping pile of meat, white and red rice, and a banana. 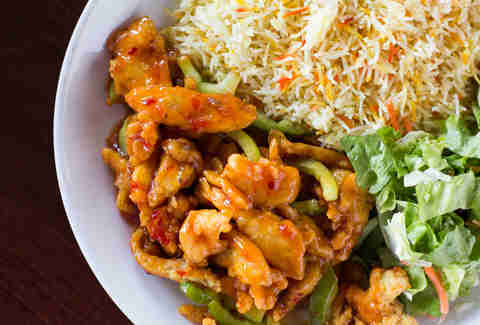 Regulars here love the sweet-and-sour chicken, along with lamb chops, although other protein options include breaded chicken, goat, tilapia, chicken drumsticks, and meat cooked suqaar style (stir-fry with pepper and onions). 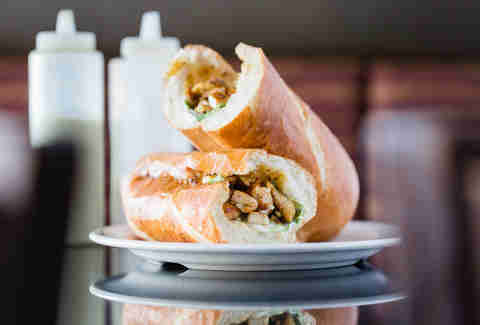 Don’t forget the green sauce; Cafe Royale’s is made with serrano peppers. This place doesn’t actually occupy its own storefront; instead, it lies hidden at the back of a market, meaning only the determined will find it. All the classics are served here, like combo plates and sambusas, but there’s also some Somali-American hybrids, like chicken suqaar wraps, and Mediterranean and Central African-inspired dishes. 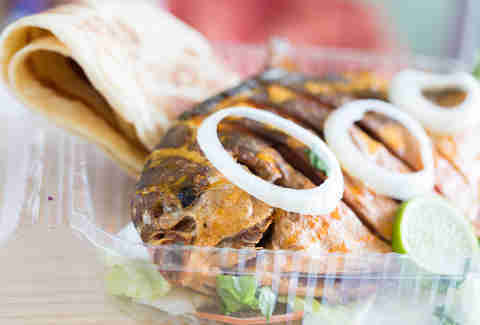 Favorites include fish curry and the fried whole tilapia, served with fresh-made chapati, which is a type of griddled flatbread also known as roti. Afterwards, wash it all down with a traditional Somali coffee and ask yourself why you didn’t visit this place sooner.